Posted on 9th October 2018. 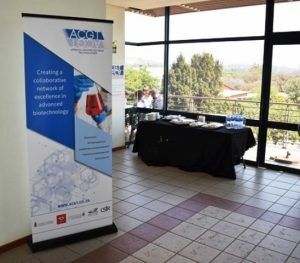 Capacity building is one of the objectives of the African Centre for Gene Technologies (ACGT) as a means to improve the skills level of South African scientists, especially in the field of bioinformatics data analysis. For African scientists to continue to produce quality work that is internationally recognized and competitive, there has to be continuous efforts to equip the scientists with the most relevant and applicable skills available. Advancements in sequencing platforms and the amount of data generated require specialized skills and programs that generally require some knowledge of command-line. Linux is one such useful alternative operating system for data analysis and visualization. For this reason, the ACGT organized a Linux course to benefit life scientists and introduce them to basic Linux concepts. 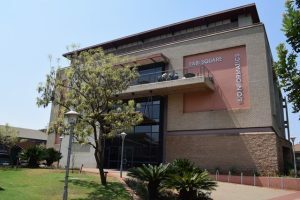 The Linux course ran from the 25th to 28th September 2018 at the University of Pretoria, Hatfield campus at the Centre for Bioinformatics and Computational Biology (CBCB). The sessions were kept as interactive as possible to create a relaxed environment where the participants could ask questions and get the most out of the four days. The 25 delegates were from different research backgrounds and hailed mostly from the ACGT partner institutions; the Universities of Pretoria and the Witwatersrand, the Agricultural Research Council and Council for Scientific and Industrial Research. Following conclusion of the workshop, there has been very positive feedback from the participants of the course. There was a general sense from the course evaluations that the course was informative, practical and interesting. Moving forward, there are plans to adjust some aspects of the course such as content and more bioinformatics-specific approaches. Keep an eye on the ACGT website and e-mail alerts for news of future iterations of the Linux workshop. The ACGT and all of its partners would like to extend enormous gratitude to Mr Shaheem Sadien and Professor Fourie Joubert for running the course smoothly and successfully. The ACGT would also like to thank all the behind-the-scenes people that had a hand in putting this course together: Itseng Malao, Johann Swart and Vaughan Beckerling. The ACGT wishes all the participants good luck with their future work. Due to limited space, not all of the applicant could be hosted but the ACGT encourages those that were not placed this year to keep an eye out for future courses. For any other capacity building and networking queries, kindly contact Mr Molati Nonyane, ACGT Liaison Scientist (az.ca1555892981.pu@e1555892981nayno1555892981n.ita1555892981lom1555892981, 012 420 6139).